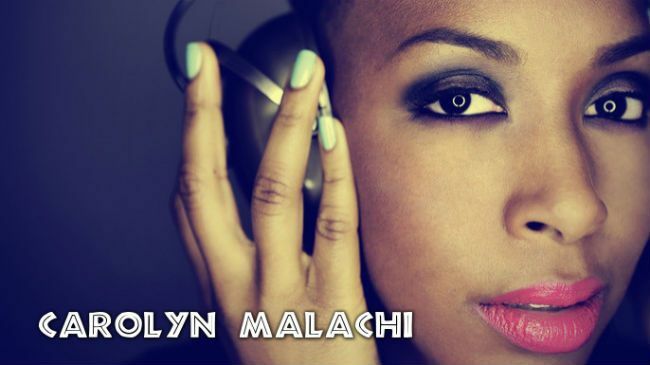 My name is Carolyn Malachi. I am a Grammy-nominated artist, Bitcoin booster, and a bit of a technolust. My music blends Jazz, Hip Hop, R&B and other genres. A college professor introduced me to Final Cut Pro in 2005 and I discovered the software’s Soundtrack component. Soon thereafter, I began producing music to support the songs in my journals. That allowed me to start performing - first with a DJ, then with musicians. 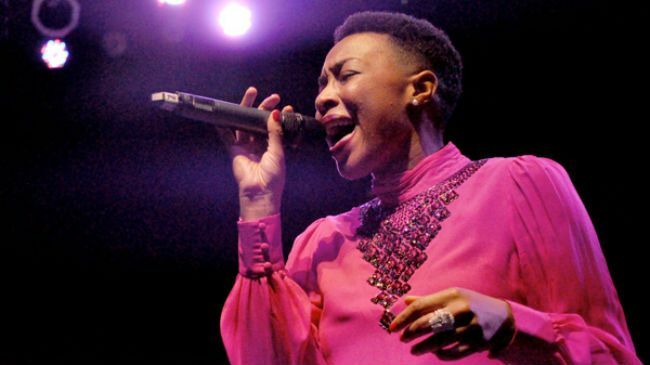 Sarah Vaughan, Pat Metheny, Faith Evans, MF Doom, and Radiohead top the list. Lately, listening to Bobby McFerrin, Elis Regina and Stephen Sondheim has expanded my music palette. 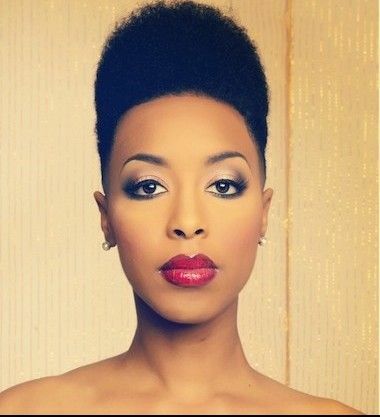 How and when did you start embracing your natural hair texture? I wore relaxers through junior high and high school. The expensive, four-hour beautician appointments, scalp burning and product odors made me miserable. By senior year, my college plans were set. I knew I would be attending Shepherd University (in West Virginia) as a student athlete. The right style for me would be one that reflected my personal style, reinforced my culture and worked well with my budget. So I decided to make the big chop. What is your current routine/regimen? I keep weekly appointments with my hair stylist. He keeps my fade fresh. At home, to achieve my curly look, I rinse, towel dry, apply Qhemet Biologic’s Moringa Tree Conditioning Ghee, brush the edges, finger style, then go. If wearing the high top fade, I rub in Qhemet Biologic's Cocoa Tree Detangling Ghee, pluck to perfection with an afro pick (yes, one with the fist), brush the edges, then go. My hair stylist is Nate Crittenden at N’Style Hair Grooming in Bowie, MD. What are your favorite hairstyles to wear? I like to pick out my hair to wear a full-blown high top fade, or I wear it super curly, with my fresh, out-of-the-shower look. What are your must-have products and tools? In addition to the Qhemet Biologics Cocoa Tree Detangling Ghee and the Moringa Tree Conditioning Ghee--both smell amazing--I use the brand's Castor & Moringa Softening Serum or Amla & Olive Heavy Cream when my hair has been exposed to extreme heat or lots of sun. For me, having curly hair means wearing a physical reminder of a spiritual commitment. That reminder helps me to maintain focus on my mission: to inspire, ignite and nurture the human spirit. Did you big chop or transition and for how long? Just before senior year of high school, I did the deed. Making the big chop was quite liberating. I started with a texturizer. After a few months, I discovered my hair's natural texture. That's when I decided to go completely natural. What reaction did you get when you decided to go natural? I think my parents were surprised that I went through with it. After all, I was 17. What 17-year-old makes that kind of decision and actually sticks with it? What do you do at nighttime for your hair? Someone special rubs their fingers through my curls. That’s about it. What is the best thing about being curly? Hair is a statement. My hair speaks before my mouth does. My hair says that I make strong commitments and stick to them. My hair says that I love and accept myself. What would you tell others to encourage them to embrace their curls? Allow your hair to reflect who you are now and who you will allow yourself to become. Tell us about your current and upcoming projects. Find my album GOLD on Spotify, iTunes or Google Play, and take the musical journey. Keep an eye out for RUNAWAY, a short music film starring Stephen Hill (Boardwalk Empire, Law & Order), me and my high-top-fade. Watch her Grammy performance for "Gold"